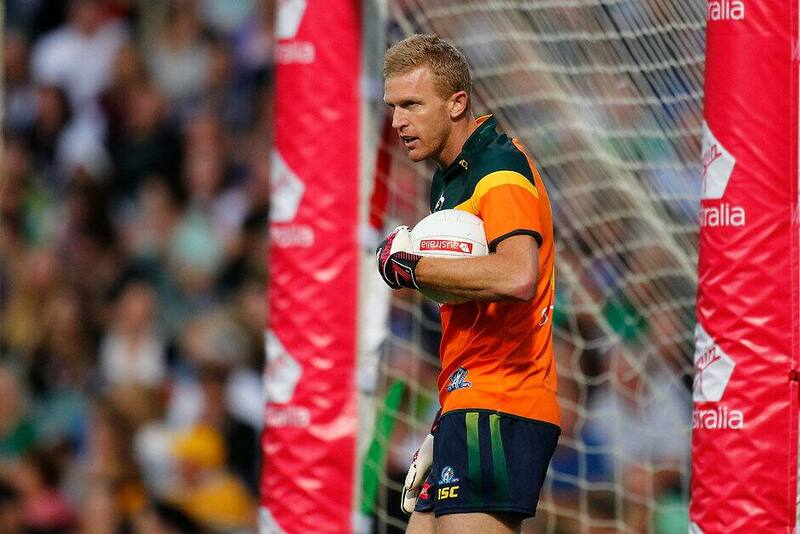 THE CAREER of Essendon champion Dustin Fletcher has one final chapter to play out with the 400-gamer set to represent Australia in November's International Rules Series. It is understood Fletcher was put through his paces in a secret training session two weeks ago by Australian officials including Alastair Clarkson, in the midst of Hawthorn's quest for a fourth premiership under his reign. Despite not adding to his 400-game tally after a groin injury suffered in round nine, Fletcher is understood to be fit to represent the team for the one-off Test against Ireland at Dublin's Croke Park in November. Clarkson was joined by Hawks fitness lieutenant Andrew Russell and selector Gerard Healy in the private session at a local park, just a day out from the Hawks' do-or-die semi-final against Adelaide. Fletcher was asked to prove his fitness for the tour, which will also include a week's stopover in New York. After representing Australia last year as goalkeeper, the 40-year-old is set to play in his fifth series between the sticks. Fletcher did not return phone calls on Tuesday when contacted for comment.